Rangasthalam is a career defining film for Ram Charan and director Sukumar. The film has grossed nearly Rs 116 crore worldwide share, becoming all-time third highest grossing Telugu movie after the Baahubali franchise. Fans, critics and several celebrities from the film world had appreciated Rangasthalam. Now, AP minister Nara Lokesh is the latest celebrity to join Rangasthalam admirers’ club and gave the film and its team a big thumbs up. “Thumbs up to Ram Charan, Sukumar & team for giving us a wonderful film like Rangasthalam to watch. The characters stay with us after the movie was long over! Great work guys! 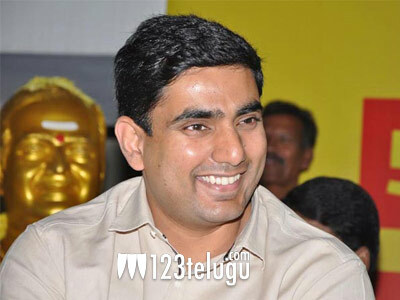 !,” Nara Lokesh tweeted after watching the movie tonight. Thumbs up to Ram Charan, Sukumar & team for giving us a wonderful film like #Rangasthalam to watch. The characters stay with us after the movie was long over! Great work guys! !